Many people are switching from the traditional cigarettes to these new, modern e-cigarettes. There is a huge difference between the two, other than just the mechanism, once you try these e-cigarettes, you will definitely know, what makes them better than the regular traditional cigarettes. Other than being just smoke free, e-cigs also have many more amazing benefits over traditional cigarettes. The smell of a burning cigarette or of a passive smoker often makes non-smokers nauseated and creates a feeling of disgust. The smell of the cigarette trails you even after you have finished the cig and doesn’t easily leave you. Well, e-cigs offer you a smell-free usage. These e-cigarettes are designed to produce no smell at all. Some particular flavoured e-cigs produce an aroma which is very appealing, but it doesn’t last for more than a few seconds. There are many public places where you are not allowed to light your cigarette; you cannot smoke anywhere and everywhere. A certain set of rules are imposed to smoking in particular areas, but there are no such restrictions on e-cigarettes. Because of there is no much regulation on vaping, you can vape in smoke-free environments and take pleasure from these devices almost anywhere. Though there are some countries that allow restricted usage only. You no longer have to worry about adding to pollution or leaving cigarette butts into the soil. E-cigarettes unlike the regular ones are smoke-free (and free of tobacco too- your benefit, not the environment). They propose no potential fire risk and are completely ash-free. The vapour that is usually generated is produced from heated e-liquid. The e-cigs are rechargeable and can also be charged with the aid of USB’s. They are also proven to not produce carbon monoxide. Using traditional cigarettes if you are a passive smoker can cost you a fortune. To avoid building a hole in your pocket, use e-cigarettes. These e-cigs are reusable as you can refill them and don’t have to engage in buying stocks often. 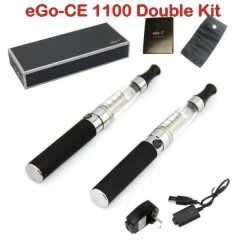 E-cig is a much cheaper alternative but does not compromise on the quality of the product. The price of your e-cig depends on the model and the size, if you want to save a lot without leaving your cig; there are plenty of options to suit you and you don’t even have to invest in a lighter. Along with their sleek and splendid designs and being available in the way you desire, these devices are much suitable to our current lifestyles and are completely user-friendly. If you are a newbie, no worries, you will quickly learn how to use them, just follow the instructions. Available in different flavours and sizes, these innovative e-cigs are free of tar and smoke completely. You cannot debate that e-cigarettes are more convenient and a smarter option. Allowing the masses to vape in smoke-free zones and leaving no stains and tar deposits, these e-cigarettes are here to offer you their best. Suiting our way of life, e-cigs are completely affordable and can be chosen from among a wide-range. To choose the one you like best, experiment with the numerous flavours and savour them.